The 2018 WPT Borgata Poker Open is down to the final table. Only six players are still left in the hunt for a WPT title. 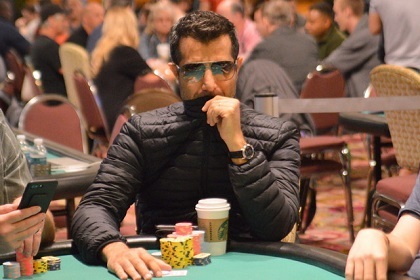 Erkut Yilmaz is the chip leader and he'll be trying to fend off remaining players: Oleg Shnaider, TK Miles, Austin Wentling, Liam He, and Anthony Maio. Poker Masters Purple jacket winner Ali Imsirovic missed the final table when he was picked off in ninth place. Author Maria Konnikova also went deep, but she busted in 20th place.